Whether for health or environmental reasons, the number of people in the UK opting to follow a vegan lifestyle has soared - there are now an estimated one million vegans. In response to this popularity, vegan food has become more accessible, higher in quality and better value for money. Whether you're new to veganism and looking to experiment with healthy and environmentally-friendly alternatives to your favourite foods, or a seasoned vegan, this book is sure to inspire your dishes and tantalise your tastebuds. However you choose to eat, the key to a satisfying diet is variety, and with 200 mouth-watering recipes, you'll never be short of inspiration, and you can easily make vegan food a regular part of your life. 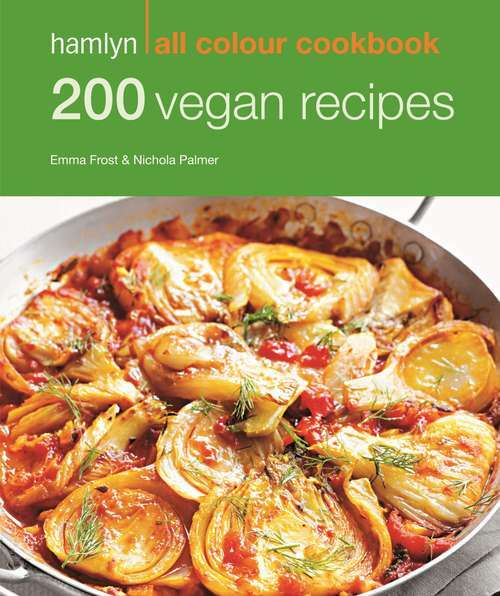 From quick snacks and light lunches to decadent dinner party delights, Hamlyn All Colour: 200 Vegan Recipes is every vegan's essential new kitchen companion.